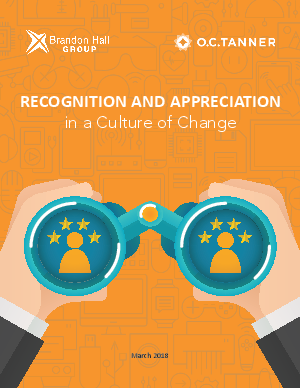 Recognition and appreciation are vitally important to the workplace culture, especially as organizations and their employees struggle to adapt to rapid change. New research conducted separately by O.C. Tanner and Brandon Hall Group shows the significant influence of recognition and appreciation in building a cultural foundation for change, innovation and a spirit of accomplishment.